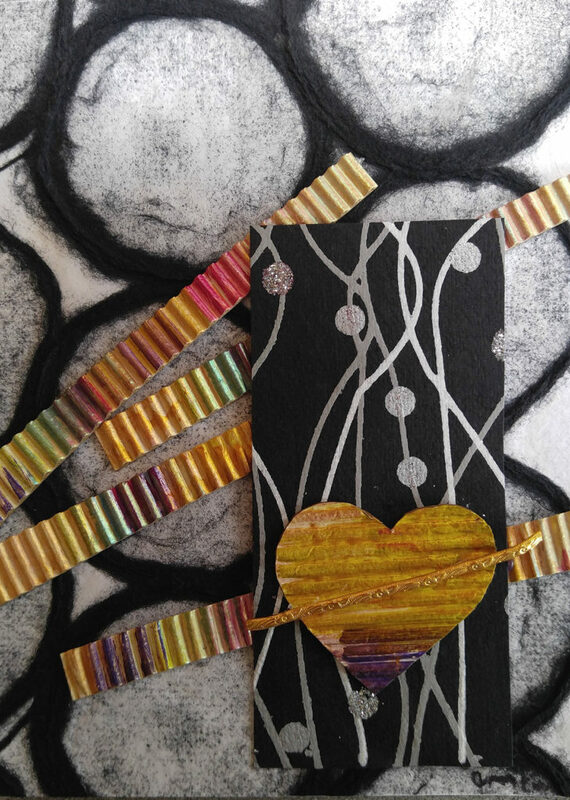 Amy Love is a Colorado native artist, originally from Boulder, who has been designing art cards for about 30 years. 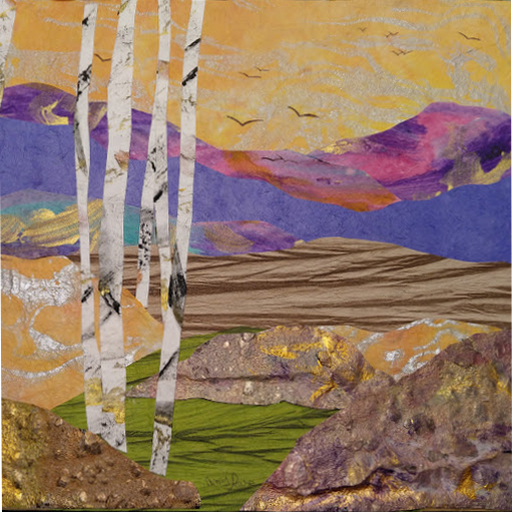 She has expanded her art to include matted and framed mixed media aspen landscapes. 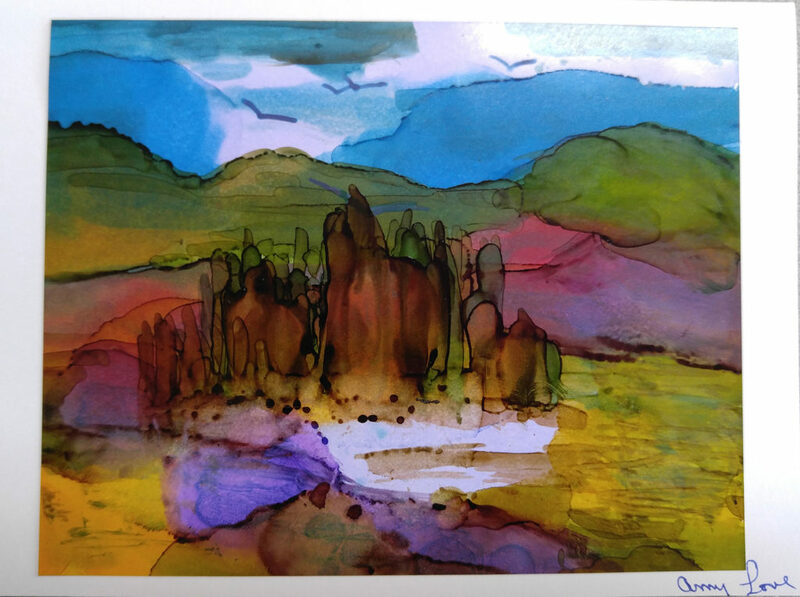 Each piece is an original work of art, hand-made and signed by the artist. No two are exactly alike. 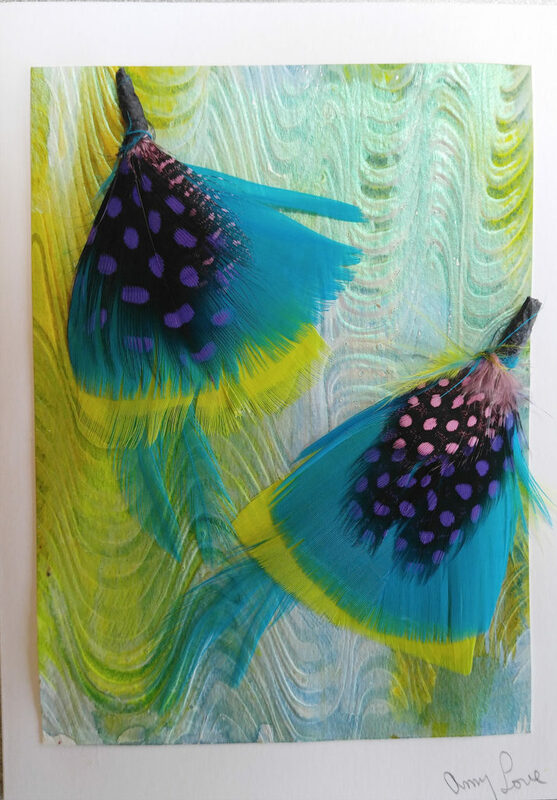 Her work is known for its bold colors, geometric and curvilinear images combined with a free form use of a wide variety of mixed media. 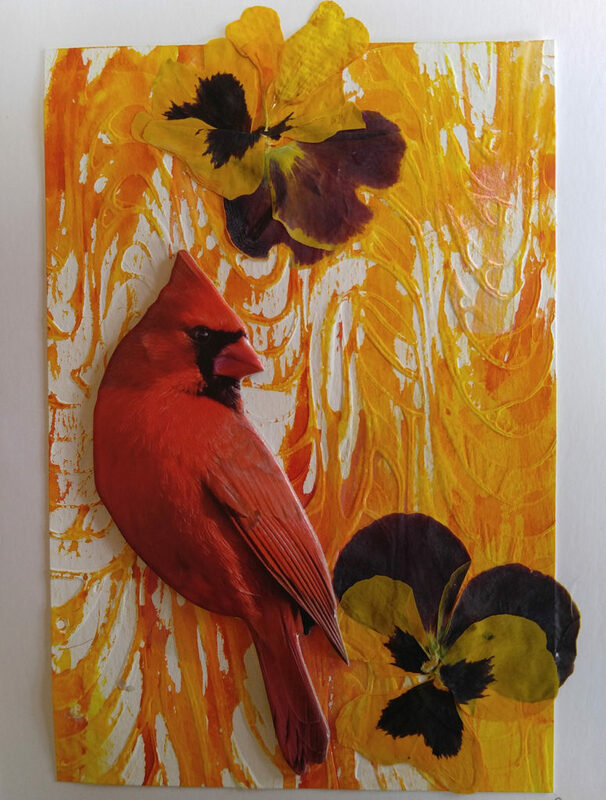 She incorporates exotic hand made papers, fabrics, dried leaves and flowers, origami, painted paper, wood or metal design, and other types of embellishments into her wildly imaginative art. 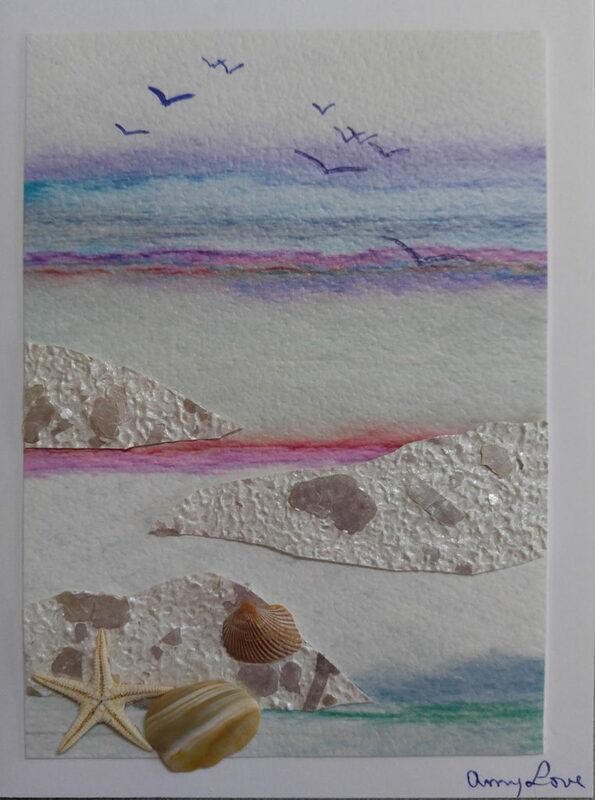 Amy’s art cards have sold in the American Crafts Museum in New York City as well as gift boutiques in other states. 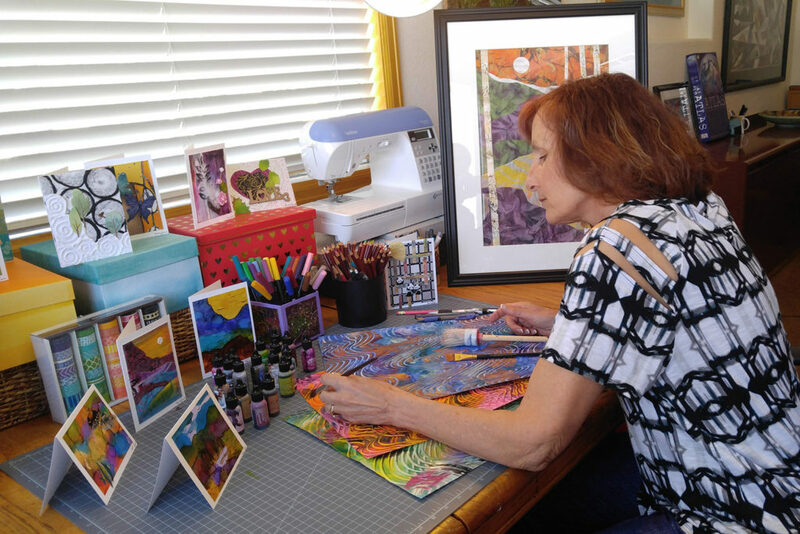 Amy lives in Evergreen, Colorado.